In the flat where we will move into next year has already a satellite system which point to Astra; as we are Italian we would like to watch Italian TV but it is available on Hotbird satellite. The current system is available to 8 buildings with 40 flats about in total. Technically I know that it is enough to install a second LNB on the antenna and point it to Hotbird. Then I will need a decoder capable to commute the signal (through a Diseqc); but I do not know which impact this change has on the other flats. Are there any other possibility? If you have a balcony with a view of 13 degrees east of south you might be able to have your own dish pointing at Hotbird 13E. Use Dishpointer to see which direction your dish needs to point. RAI has a Replay and on demand TV services available over the internet. They appear to be geoblocked but some of the tricks discussed in the TV via the Internet as an alternative to satellite thread might work for you. If the property has a comunal dish. 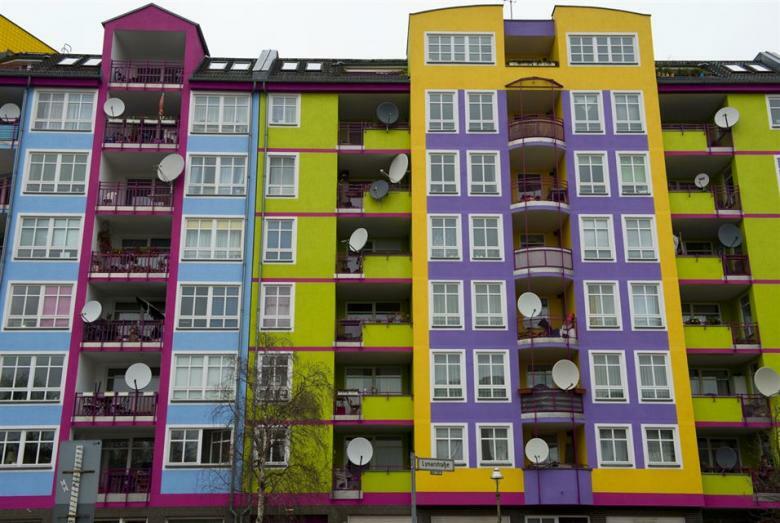 it is quite likely that in the hausordnung and contract that NO satellite antenna are to be installed on the balcony.. They are getting rather strict on this too! Some newer buildings are installing a mast from top to bottom, along with empty cable tube to the lounge so that everyone can have a dish and it looks uniform! Perhaps you could let Lilly decorate the dishes first? Quick question regarding satellite TV...I personally know nothing more about satellite other than it's on the roof and makes the telly work. We now can't get a signal on any TV. My husband has had a look from the upstairs window and reckons that the LNB looks broken...no cover though the cables look to be in place. Are LNBs easily replaceable or is it best to replace the whole satellite unit? Ours is about 8 years old. Are any UK TV channels easily available via satellite? Not so bothered to pay any kind of subscription though if the thing is being fixed or replaced, a bit bit extra for some UK channels might be worth it. Interesting. I've been having problems with my satellite system over the last few days. I keep getting a message that no signal is being received, but not on all the channels. I don't mean on channels like the BBC or ITV, but on SKY Atlantic, Dave HD and loads of other SKY specific channels that up to last week worked fine. I suspect either my sky box or my LNB has developed a fault. Anybody else having similar problems? Last couple of weeks, I cannot get any channels, I used to get Skynews all the time without a problem but I now can hardly get it anymore. BBC1 would work for the Andrew Marr show ( sunday 10am-11 ) and then go off at about 1pm, but these days its just stopped !! Well strangely, since I posted this, last night everything started working again! It's still working this morning and I can even pick up the BBC in SD, although I expect that will disappear as the day goes on. Very strange, maybe they have just been fiddling with it and now it's all sorted out, who knows! Just had the satellite man over to look at the problem...LNB is definitely broken so he'll replace that and hopefully all will be well. Sounds like it would take a lot more to get any U.K. channels though we're not really bothered. As I'm clueless about TV and internet TV, here's my stupid question...I read another thread that referred to BBC, ITV etc online iplayer apps and that the channels are viewable on a computer, iPad etc. Is it possible to download those apps on a Smart TV? We've also got an older non smart TV and use an Amazon Firestick on it. Are the apps downloadable through the FS too? It depends on what tv you have. You will need a VPN or Smart DNS to fool the apps into thinking you are in the UK and to set the tv up as if it is in the UK. If like me you have a slightly older LG smart TV only the BBC iplayer and channel 5 apps are installed. If you have a Samsung it will have the ITV and Channel 4 players also installed. A uk fire stick has the apps installed but I don't know if a German one can be set up as if it is a uk one. You'll still need a vpn or smart dns set up though. Was he a satellite bloke or an electrician that does satellite? If he was a sat bloke then he would know that its quite easy to add 120 UK channels to your set up and he would have had a spare LNB on his truck ! I have about 5 or 6 of each type of LNB on my motor as stock! I don't know if he is a satellite bloke or electrician. When he mentioned that UK TV would need at least a 1,2 meter antenna and maybe a cable, we glazed over. He a,so said that some channels like BBC are verschlüsselt. He came by only as he was near at the time though would have to come back with another bloke to hold the ladder! Then he clearly has zero idea at all! 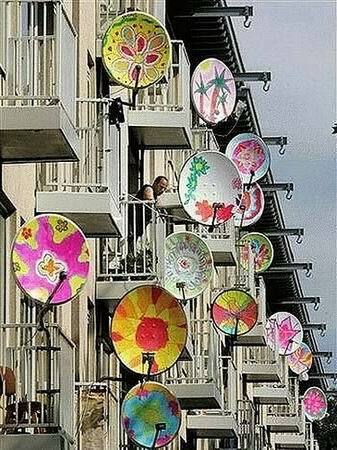 The BBC have been free to air for over 10yrs... and in you area, an 80cm dish is plenty big enough! If you PM me your adress, I will drive by tomorrow or Friday on my way to/from Munich..